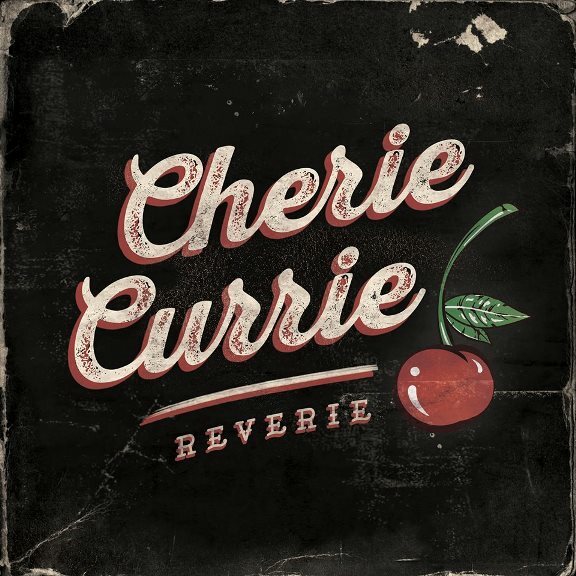 If you only have enough money to buy one album this year then buy Cherie Currie's brand new album Reverie. Cherie's vocals have never been better and the song "Inner You," is an absolute musical gift. The album is produced by Jake Hays, Cherie Currie's son and he contributes vocals to many of the songs and takes the lead on "Shades Of Me," another treasure. Reverie is the best Rock album that Riveting Riffs Magazine has heard in many years. In the 1970s Cherie Currie was the lead singer of The Runaways, an all-girl teenage group managed by the late Kim Fowley. 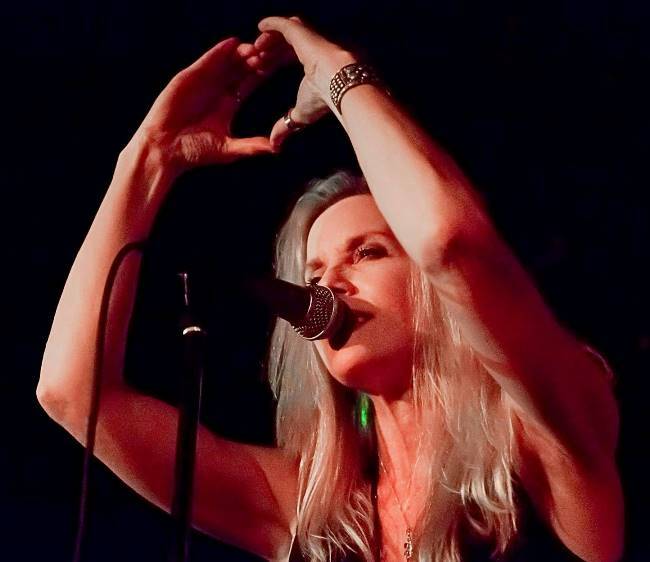 Although, there is no doubt that Reverie sends a loud and strong message that Cherie Currie is an exceptional solo artist, she collaborated on the songwriting portion of this album with Fowley and Hays and Lita Ford another former member of The Runaways lends her vocals to Currie’s new album. Cherie Currie sat down with Riveting Riffs Magazine to discuss her new album, three days after it was officially released through iTunes. The album opens with the title track “Reverie,” a solid Rock tune written by Currie and Hays and on which Jake Hays plays every instrument and yes you did read that correctly. One of the things that struck this writer immediately was how good Cherie Currie’s vocals are and considering with the exception of two years ago when she went on tour, she doesn’t do a lot of gigs, we wondered how she has been able to retain quality vocals. “I don’t sing. I really don’t. I don’t know (she laughs lightly). When I was in The Runaways I was only 15 years old and my voice was very low. It was quite deep for a girl that young. I was not born with great pipes, I just wasn’t and I never considered myself to be a singer in The Runaways. As I got older…I don’t know. I don’t practice and I don’t warm up. I don’t do any of that stuff, I just go in and I sing. It is a very rare occasion that I sing to be honest with you. I will go years without singing. I am a chainsaw artist and that is what I am,” then we share a joke and she says, “If anything, it probably hinders it (her vocals) breathing in that gas and oil. I don’t think that is good for anybody. A lot of these songs are one take, especially the songs with Kim. He was not one to waste time and he let me sing it twice and that was it. As much as I would turn to him and say I can do this better, he would say no, you’re done (she laughs). It was the same way with The Runaways, when he would have me sing it twice and he would just combine the two vocals,” says Currie. One of the best songs on Reverie is “Inner You,” sung by Currie and written by Currie, Hays and Fowley. Jake Hays plays too many instruments to mention here, Nick Maybury is stellar on guitar and Cliff Rettalick appears on piano and keyboards, as well as combining with Elizabeth Aston to contribute background vocals. The song “Inner You,” is both introspective and hauntingly beautiful and moves along mid-tempo. The lyrics can be interpreted through a variety of lenses, but one thing is clear, the central message is about learning to overcome disappointment and heartache (You took a piece of my soul / Without even asking me / All you’ve left is a hole…), while discovering what is really worth the emotional and life investment. “I will tell you something, when Kim sang that song and Jake has it on his iPhone, I burst into tears. I cried when Kim sang “I’m Happy,” and he made it up on the spot, about my life. I don’t want to get emotional, but it just was a moment that I will never forget. I had two takes to make that song and it is so funny, because I wish I had sounded happier (she laughs). I miss Kim. I miss him. What an amazing songwriter he is…was, I hate to say was, because that hurts (Kim Fowley died January 15, 2015 from cancer). He passed before the record was finished and that was painful. I asked my son (Jake Hays) to come with me to Kim’s apartment, because I knew he would learn something, as far as songwriting was concerned. He was going to witness something and with him being there it made him co-writer on three of the four songs. Jake brought a guitar and Kim told him to just start playing, as Kim started singing. Lita happened to be there as well. I called her and I said we are going to go to Kim’s apartment and we are going to talk about a record. It was just an amazing experience. When you talk about Kim Fowley, he is just one of a kind and I have never seen songs written the way that he writes songs. He is truly, melodically not great and that is where I came in with these songs. He would just recite from start to finish, a song, with Jake playing a guitar and telling him when to change notes. You had to have a tape recorder, because the thing is the man (Fowley) never messed up and his lyrics were flawless from start to finish. With “Inner You,” “I’m Happy,” “Dark World,” and “Queen of the Asphalt Jungle,” the songs that he wrote (editor’s note: co-written), they were written on the spot that afternoon and then Jake and I brought them home to my house and I worked out a melody and we tightened up the music. That’s how those four songs were written. Then within three days Kim had us in the studio. It is the last sitting in a recording studio that Kim did. He became too ill after four days and he couldn’t return, so he asked Jake to take over. That is how this record happened,” she says. There are not any weak songs on the album Reverie, but the other song that stands out above the rest is the love ballad, “Shades Of Me,” a Currie / Hayes duet. Think of the best duets you have ever heard, regardless of genre and this one ranks up there with them. This is a timeless classic that showcases the immense talent of Jake Hays, and his fingerprints are all over this tune, as a singer, musician and he produced it. “Jake wrote this song (“Shades Of Me”) for me five years ago when I did the record for Blackheart with Matt Sorum, but Matt wasn’t happy with the lyrics and so he had me rewrite the lyrics and that is a record that has been shelved by Blackheart at this point. Hopefully, it will come out, it might and it might not. Anyway, Jake was not happy with the rewrite and all of that and the way that it was recorded by Matt. Matt did a great job it’s just a different song. When Jake and I were trying to write and to put together six songs for this record, because we only had four that Kim had written I told Jake, let’s do “Shades Of Me,” the way that you originally wrote it. That’s what we did. After we recorded it musically, I told Jake I wanted to do a duet. He did not want to do it. He thought it would be weird, because of the lyrics and he said I can’t be singing this with my mother (she laughs heartily). I said Jake no you’re wrong. You have to sing this with me. It is rare that you have somebody sing a full verse and a chorus when you are doing a duet. Usually you split the difference, but he just sings so well. I said you have to continue, you have to continue on and then I will sing the next verse and chorus and you end the song. He was like, wow alright and so we did it that way. I am so pleased, because it does showcase his amazing talent, as a singer, songwriter and producer. He played every instrument, drums, guitar, bass, keyboards and all the background vocals. It is just amazing and he produced the record. He is quite the song master. He real is,” says Currie. It is a shame that we live in a world where the majority of independent artists are ignored when it comes to the final nominations for major music awards such as the Grammy Awards, because Cherie Currie’s Rock album Reverie and the songs that comprise the record are better than many of the songs, albums and artists that are nominated for those music awards. We can only hope that as more of today’s younger generations of music fans opt out of listening to commercial radio stations and find their music elsewhere that the tide will change and it will create more of a level playing field, so artists like Cherie Currie will once again receive the recognition that they truly deserve. This interview by Joe Montague, is protected by copyright © All Rights Reserved. Photo of Cherie Currie by Patti Ballaz is protected by copyright © , All Rights Reserved.